Contact Seasol International Pty. Ltd. Maintain the overall of health of your almond plants and protect them from the elements by using Seasol fertilisers. Seasol fertilisers stimulate plant growth and dramatically increase their flowering, yield and fruit set. This occurs by virtue of the low nitrogen and phosphorus levels in the fertilisers, along with their high level of trace elements and minerals. The fertilisers enhance the almond plants ability to withstand harsh weather conditions characteristic of the Australian climate such as heat, drought and frost. Similarly, they are better equipped to resist insect and fungal attack. 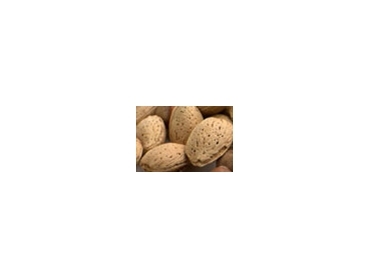 Seasol fertilisers can be seamlessly incorporated into the almond production cycle. During the growing season the fertilisers can operate as a general plant conditioner in order to optimise overall plant health. For optimal results, use every 4-6 weeks. Quantities can be adjusted according to different Australian climates and seasonal changes. For example, additional amounts of the fertilisers can be applied to protect almond plants against frost damage. Seasol fertilisers can aid the uptake and utilsation of any foliar applied nutrients by operating as a supplement to them.